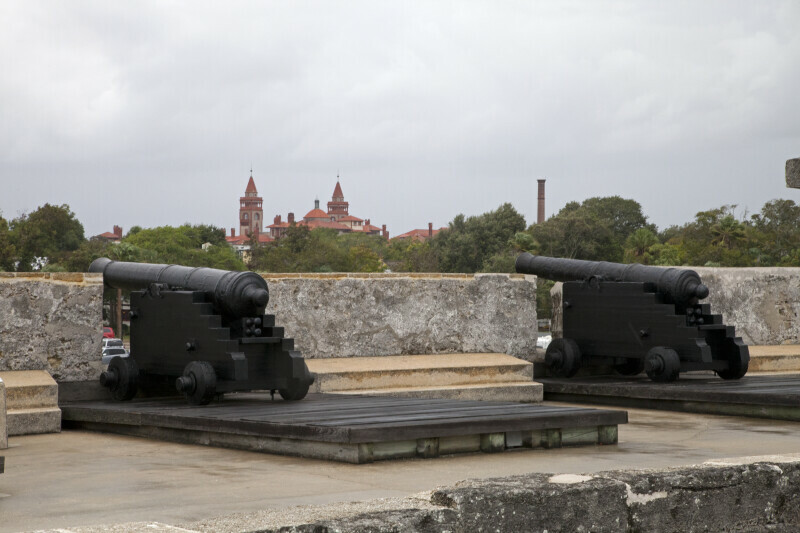 These cannons appear to be facing south. In the distance, the Hotel Ponce de Leon can be seen. The fort is a National Monument, and is listed on the National Register of Historic Places.